The Oregon Hunters Association is an organization of 26 chapters and 10,000 conservation-minded sportsmen dedicated to advocating for wildlife, enhancing habitat and passing along Oregon’s proud hunting heritage. OHA employs a year-round lobbyist, conservation director, resource director and field director to advocate for our mission, and we rally our membership to support our position on key issues. 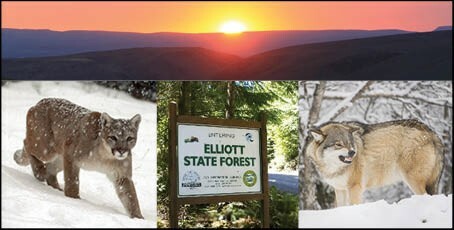 Recent examples of our efforts include helping ODFW develop its revised predator management plans, working to keep the Elliott State Forest and other public lands in public hands, passing laws to increase penalties for poaching, and preserving traditional public hunting access in places like the Owyhee Canyon, Ochoco Mountains, Cascade Mountains and monuments in southern Oregon. See recent examples of OHA state-level project funding on our Projects page, and click on Conservation News for the latest updates on OHA conservation efforts right here where you live and hunt.